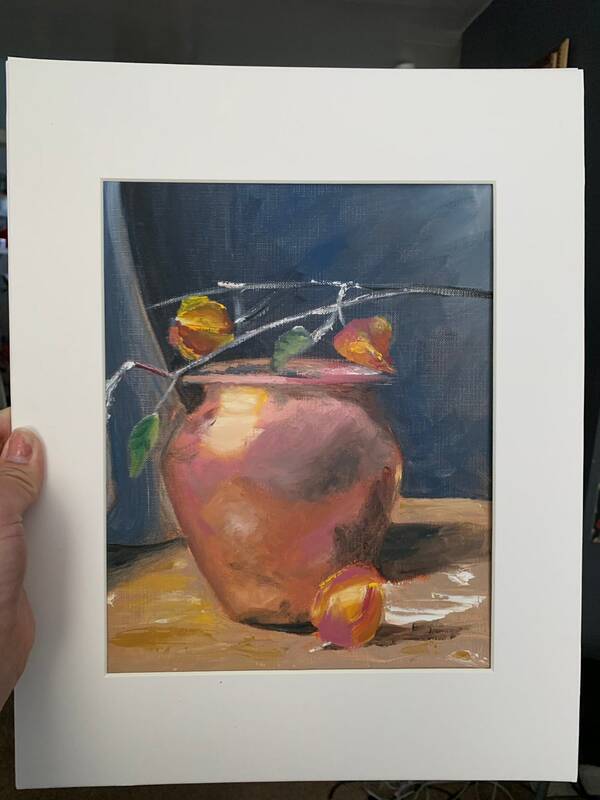 Original still life painting. 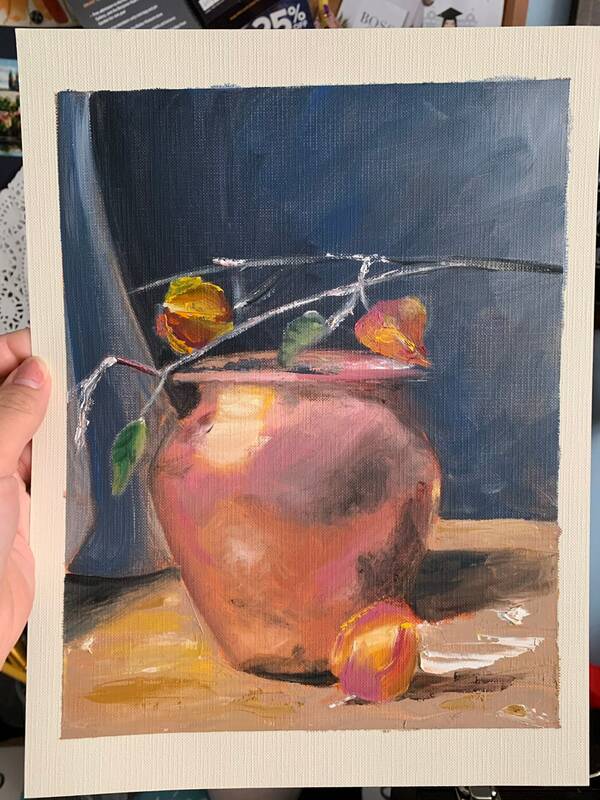 Made with oil paint on canvas paper. 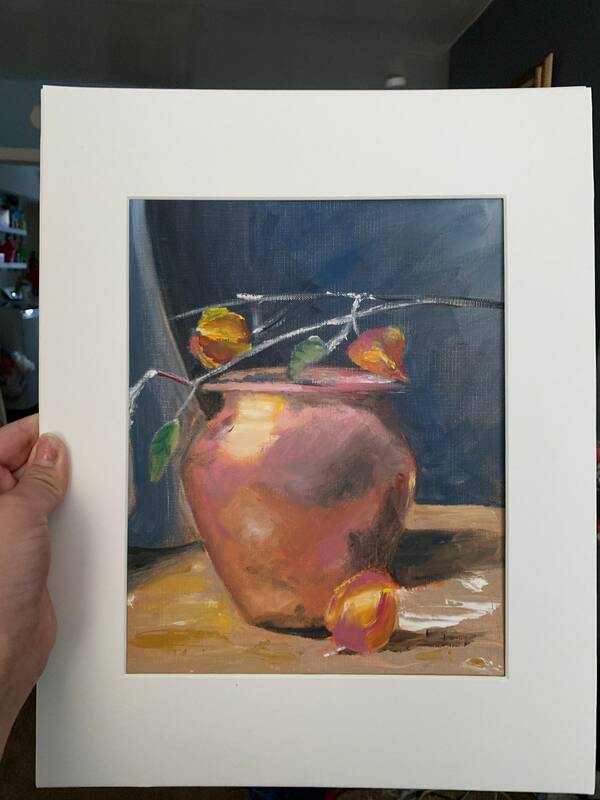 Painting depicts bronze pot with Chinese Lantern flower on a table against a dark blue drape.